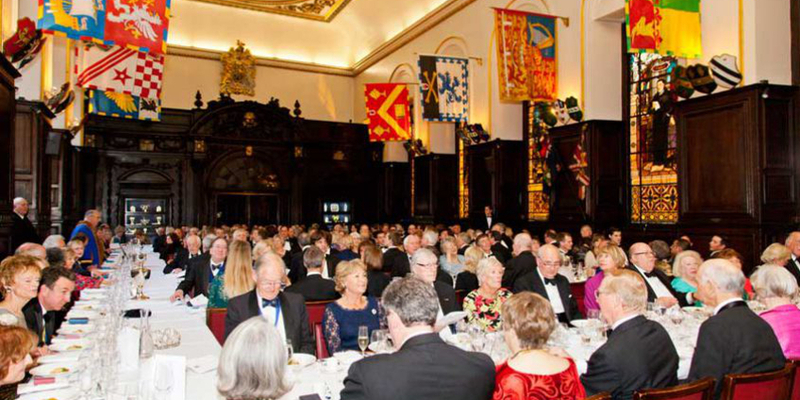 There was a very naval flavour to this year’s Dinner, held at the beautiful Stationers’ Hall in Ave Maria Lane. 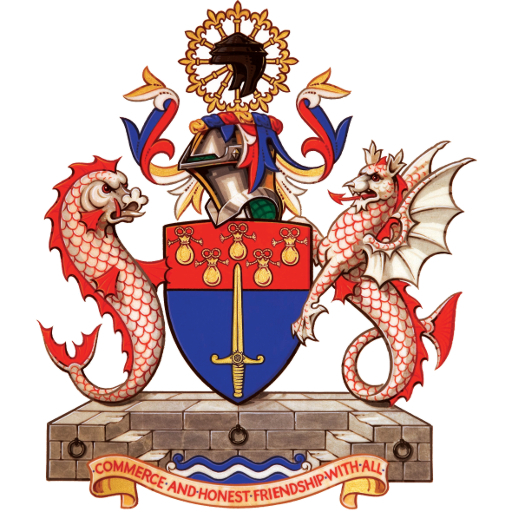 Held to announce to the World and its Traders the line-up from October 2015, the Master, Mark Hardy, announced that his Successor will be Miss Wendy Hyde CC, while Robert Woodthorpe Browne MBE will rise to Senior Warden and Alderman Professor Michael Mainelli will become Junior Warden. Guests were welcomed by an honour guard from HMS President, and included the First Sea Lord, Admiral Zambellas, and his predecessor, Admiral Burnell-Nugent. A bugler summoned guests to dinner and music was provided by the Royal Marines Band. Guests, including Masters of several other Livery Companies, were welcomed in an entertaining speech by Court Assistant Sarah Leonard. The Master shared wine with the newly admitted Freemen and Liverymen. Admiral Zambellas gave an amusing reply but claimed General Election purdah prevented him from commenting on naval matters. No such deterrent for his retired predecessor, and Admiral Burnell-Nugent demonstrated the continuing importance of the Senior Service in protecting our Nation and its Trade, and in allowing the UK to participate in joint military and humanitarian missions throughout the World. Excellent food, wine and fellowship in glittering surroundings.